Will heat in Southwest challenge all-time record? Things have really been heating up in the past week, and the extreme heat is could come to a breaking point this weekend — a record breaking point. Until this weekend, a lot of the extreme heat has been focused on the middle of the country with heat indices in the triple digits from Texas to Alabama and up to Nebraska and Iowa. Throughout the weekend, however, the heat in the middle of the U.S. begins to subside as the mercury rises in the Southwest. Southern California, southern Nevada and the entire southwest half of Arizona will be under excessive heat warnings from Sunday morning until Wednesday evening. Temperatures in the Southwest will be ten to twenty degrees hotter than normal. Places like Phoenix are expecting high temperatures in the middle to high 110s, close to the all-time hottest temperature ever recorded in that city — 122 degrees on June 26, 1990. 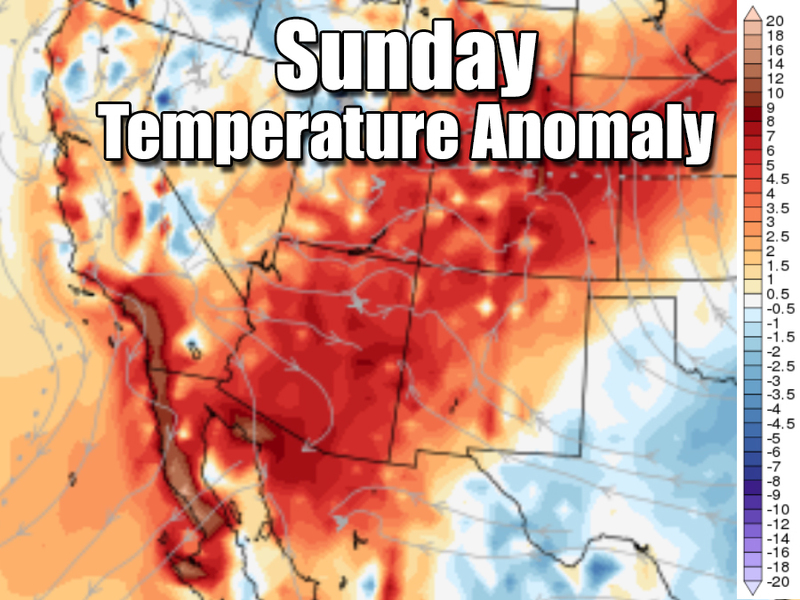 The hottest temperature ever recorded during the month of June in the United States was 129 degrees in Death Valley, California on June 30, 2013, and temperatures could approach that level late this weekend or early next week. 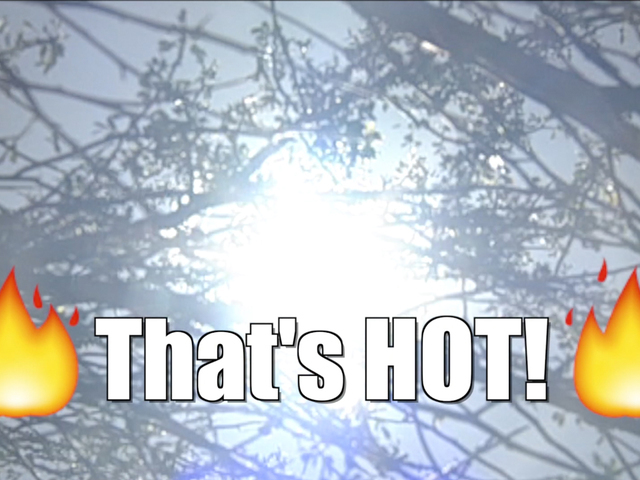 During this kind of heat, it's important to stay inside, wear light-colored clothing, and drink plenty of water. Anyone hoping for some cooler weather this summer shouldn't get their hopes up. 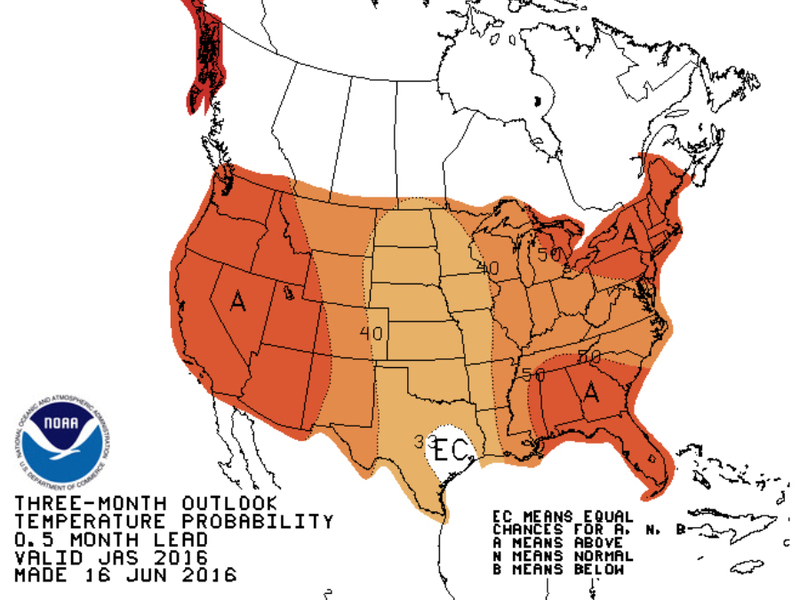 The latest long-term forecast models are showing a hot summer ahead. The months of July, August and September are looking especially toasty along the West Coast, in the Northeast and in parts of the Southeast. All the summer weather this past week and into the weekend is all happening before summer officially begins on Monday, June 20 at 6:34PM EDT.